Mansfield‘s defeat at Forest Green continued the former’s decline and the latter’s timely rise, both of which are shaping the battles at their respective ends of the league table. Carlisle yet again out-created a team without managing to finish them off, so for all their impressive ratings they need favours from other teams to get back in the promotion race, as we’ll see below. 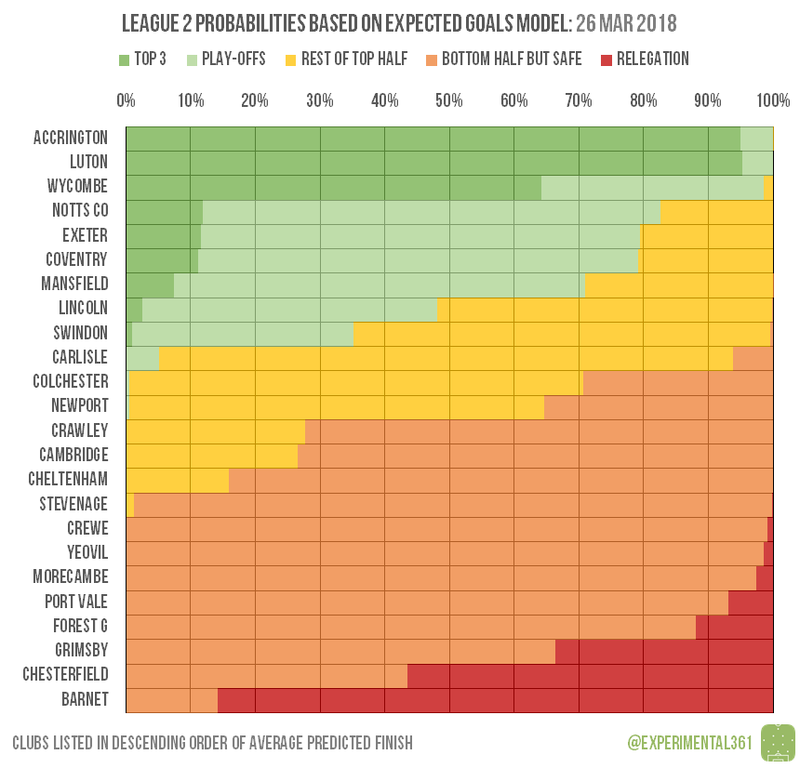 Automatic promotion is still in the hands of the current top three, although a slip from Wycombe in particular would open the door to a cluster of teams whose chances haven’t evaporated entirely. Lincoln and Swindon are still in contention for a play-off place, but need one of the chasing pack to fall away. Carlisle unfortunately look all but out of the running now after a third successive draw. Barnet slipped closer to the drop while Chesterfield‘s huge win over Notts County took a huge bite out of their red bar. 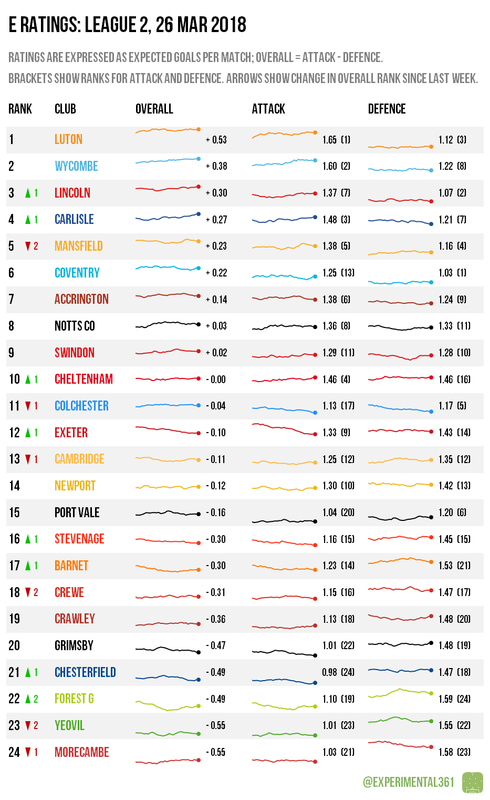 Free-falling Grimsby look by far the easiest team to catch, with Forest Green‘s win and draws for Port Vale and Morecambe inching that trio away from danger.